Good Choice Reading: White Hot Kiss by Jennifer L. Armentrout Blog Tour -- Playlist & Giveaway! White Hot Kiss by Jennifer L. Armentrout Blog Tour -- Playlist & Giveaway! ONE COPY OF WHITE HOT KISS OPEN INTERNATIONAL. Leave a comment below telling us a song that reminds you of one of your all time favorite books. Be sure to leave an email address so we can contact you if you win. - Good Choice Reading is not responsible for any lost, stolen, or damaged mail. - Winner has 48 hours to claim prize once email is sent. I'm No Angel - Greg Allman, Too many books to choose from, but maybe Rush Finlay in the Too Far series by Abbi Glines. ooh, i love love love the question! i'm a huge book/music person and i have tons of book playlistst! i have tons more but these are a few that go hand in hand for me. Shattered-Trading Yesterday reminds me of Rainbow Rowell's Eleanor and Park in a way. The Scientist always makes me think of 50 Shades. Always! I just finished reading Bitter Sweet Love. 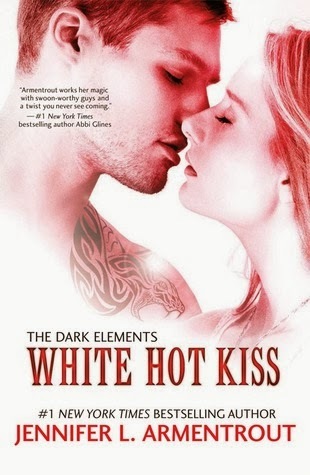 I'm dying to read White Hot Kiss! The song....Dark Side by Kelly Clarkson reminds me of the Georgina Kincaid Series. Rough Waters by Travie McCoy. It reminds me of anything to do with the Percy Jackson series and the Heroes of Olympus series. To be specific though, The Mark of Athena. thunter_5 (at) yahoo (dot) com. Dark Side by Kelly Clarkson reminds me of 50 Shades of Grey! The complexity of the story. Would LOVE to read White Hot Kiss too. Thanks for the chance. No Air - Twilight series. Cowboys and Angels by Dustin Lynch reminds me of the Unearthly series by Cynthia Hand. Forgot my e-mail. Sorry! daisykr_99(at)yahoo(dot)com Thanks! I don't associate music with books or vice versa. This Is War by 30 Seconds to Mars reminds me of Harry Potter. Probably was influenced by that Marauders' Era fan video. By your side- Wait for you. 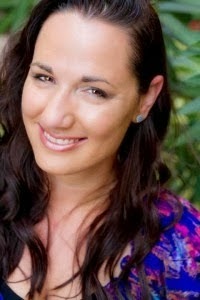 Ed Sheeran - Kiss Me reminds me of the Easy by Tammara Webber. After REAL by Katy Evans, I can never listen to Iris and not think of Remy! I think that the entire Tear The World Down album by We Are The Fallen works perfectly with the Vampire Academy series.